Waking up to sunshine, lounging in the warmth and entertaining while the sun goes down – the sun’s rays can create atmosphere and ambience in your home. When you’re planning your new build, make sure your home makes the most of New Zealand’s sunshine with this easy to use sun angle tool. 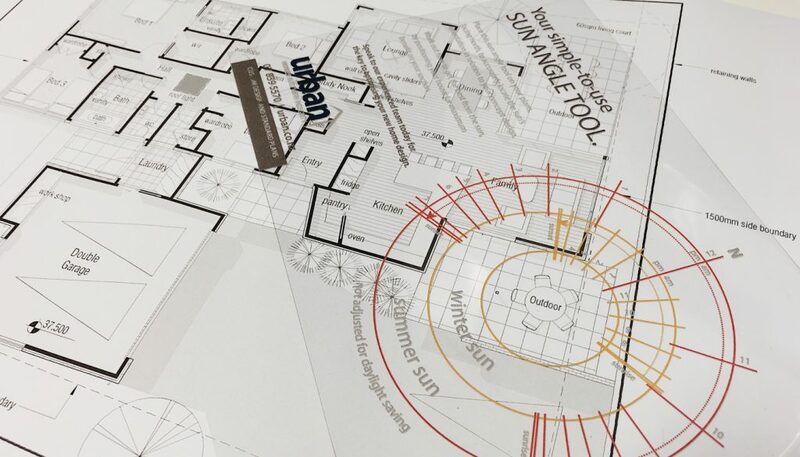 Place the tool on your plans so it’s facing north and locate the sun’s orientation at that time of day in relation to your concept design. If you’d like us to send you a copy of the sundial tool in the post, simply let us know on the form.